Few Buddhist monks throughout history are as well-known as the eccentric, clever Ikkyu. 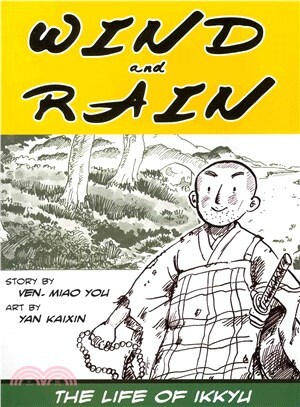 Wind and Rain tells the story of the legendary quick-witted monk. This unusual monk devoted himself to helping others, bringing relief to refugees and clearing delusion from the minds of those tied to the material. His unorthodox and cunning methods dispelled ignorance from commoners and nobles alike, bringing Chan and Buddhism to all.With whimsical art by Yan Kaixin and a script both light-hearted and poignant by Wang Meizhi, Wind and Rain is an unforgettable graphic novel biography of this one-of-a-kind teacher.